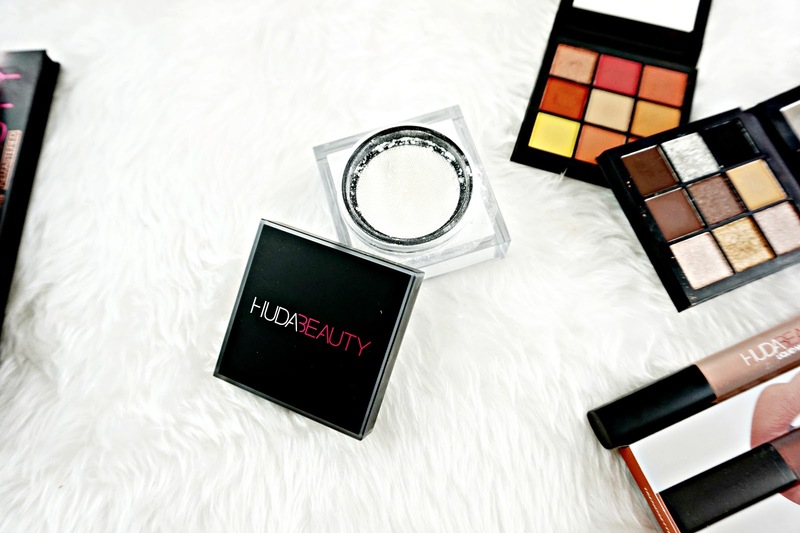 I think it's safe to say Huda Beauty is the queen of online beauty. The online beauty community went crazy when she launched her own makeup line. It's no secret that I love her eyeshadows and foundation so when I heard about a powder I was so excited. As soon as it launched I ordered it. So here are my thoughts. 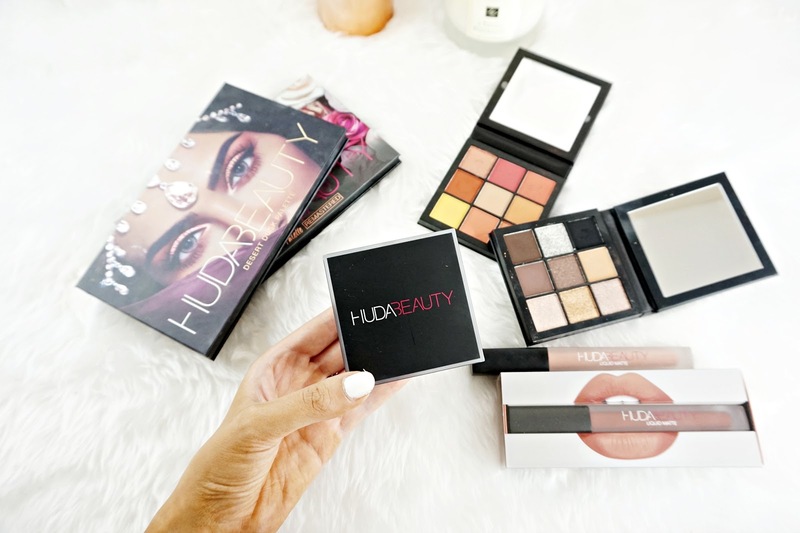 Huda Beauty is stocked at Cult Beauty, Selfridges and Harrods in the UK. I ordered mine from Selfridges. It arrived really quickly considering they estimated the shipping at 7 days! I ordered it on Thursday and it came on the following Tuesday. I would have normally ordered from Cult Beauty because their standard shipping comes within 3 or 4 days at the most. But at the time of ordering they didn't have the product. But anyway my powder arrived safe and sound, no issues. The Easy Bake Powder is £28, which I think is very reasonable for a high-end powder. And considering the price point of her eyeshadow I was expecting this to be £35 easily! I am aware that it may still be out of some peoples budget but from my experience, high-end powders are worth investing in. The powder is housed in a sifter style pot. But instead of a regular plastic sift it has a mesh. Which makes it a lot easier and less messier to get the powder out. I do think the packaging is a little unnecessarily bulky but this doesn't offend me and it's a small issue. From the marketing of this product I thought this powder was purely for baking but after doing some research and testing this you can use it to set all your makeup. Huda claims that this is a silky smooth powder that blurs imperfections, absorbs shine without being completely matte and flat looking. It sounds like the perfect powder. Now I will say I don't normally like 'baking', I find it takes the coverage out of my concealer and is far to drying for my dehydrated skin. So I was really intrigued if this works for me. It comes in 8 shades, including a translucent that is supposed to be suitable for all skin tones. I opted for Sugar Cookie which is translucent. I have a light - medium skin tone and it worked for me. I'm not convinced it would work for darker complexions though. The directions say to use a sponge or a dense brush to pack the powder on for baking. I tried it with a brush and sponge and the sponge works far better. I found it really difficult to actually pick up any of the powder. Anyway I packed it on and left it for 3-5 mins as recommended. Instantly I feel the tight dry feeling under my eyes. I also applied it to my t-zone to, this area didn't feel dry. I was really worried that it would leave me with super dry, wrinkled looking under eyes but surprisingly this didn't. And this is actually really brightening which I haven't found in this type of powder before. In terms of wear time my under eyes stayed looking flawless all day. But the rest of my face did turn a little shiny. I normally use my Hourglass Ambient Lighting powders and I don't normally look as shiny using them. Which is odd considering they are not mattifying powders and don't claim to be. I think if you're super oily this may not be for you. And normal to dry skins might actually prefer this. I do really like this powder and I'm really surprised at how brightening this actually is! I'm happy I've found a powder that I can finally bake with. But I don't actually think baking overall is for me. It just seems a bit to faffy and messy. That being said this powder still works really well dusted over the face or used in specific areas. So don't be put off if you don't like baking. The Huda Beauty Easy Bake Powder is available from Selfridges here. Are you tempted by this powder? What are your thoughts?